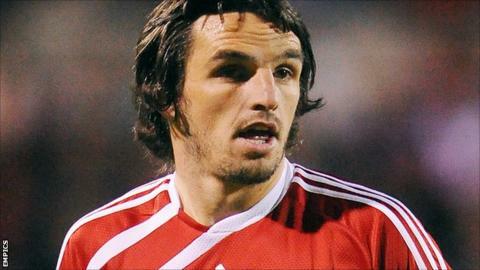 A 95th-minute equaliser from Jonathan Douglas earned Brentford a point at League One leaders Tranmere Rovers. Jean-Louis Akpa Akpro's individual effort shortly after half time looked to have been enough to maintain Tranmere's 100% start at Prenton Park. The Frenchman had headed wide from a James Wallace cross before he fired past Simon Moore from a tight angle. But Douglas struck for the Bees in stoppage time, volleying in after Clayton Donaldson's long throw. "It's very difficult to say what my emotions are but we are very happy about the point. "We were 1-0 down with 30 seconds to go and we scored. "I think we definitely have to be very happy about that point - but tomorrow morning I think I will be disappointed."